A lovely large music box in white finish. 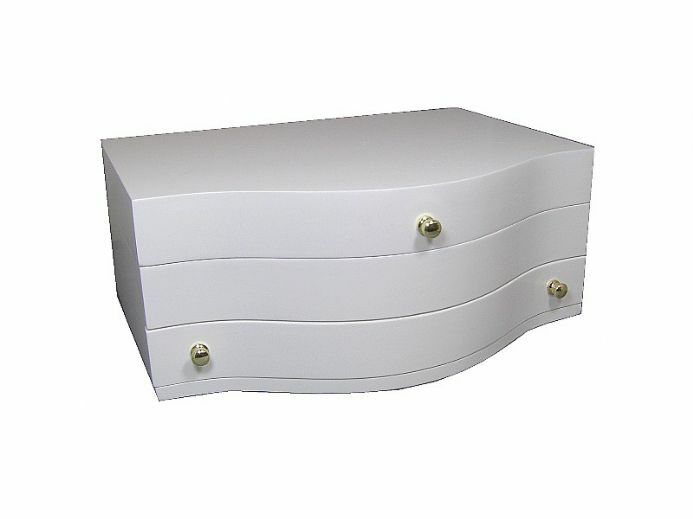 A wooden music box in white finish. 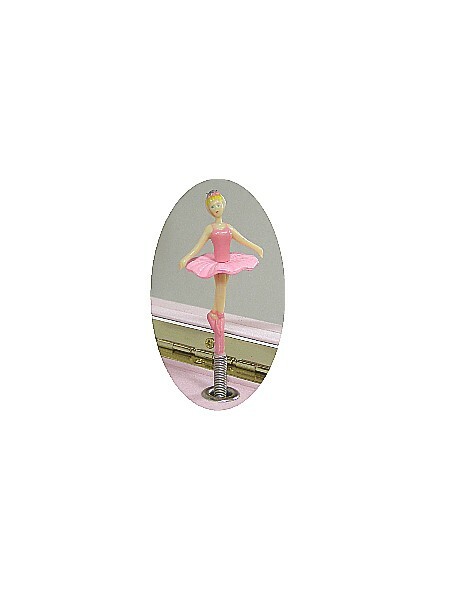 When the lid of this music box is lifted the ballerina figurine pops up and revolves to the tune. 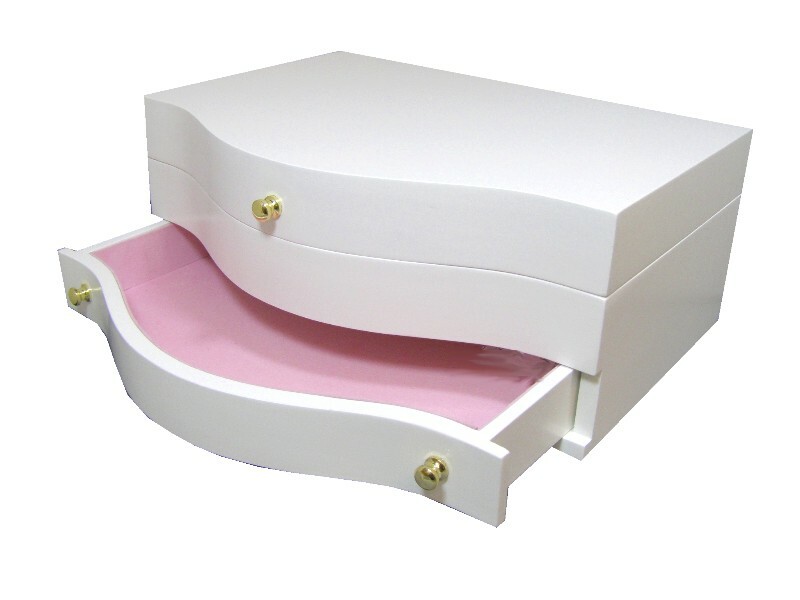 This musical jewellery box is made from a wood board and finished in white with gold colour knobs, it has a pink velvet lined inside. Fitted with a clockwork mechanism wound by a key at the back of the box. 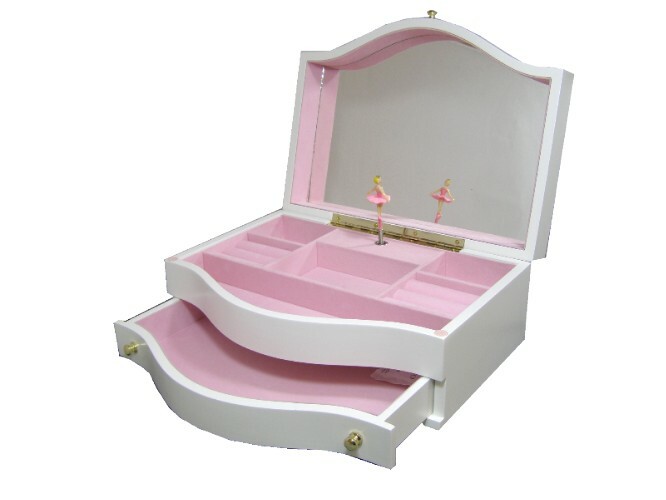 This music box plays "Love Story".